If you’ve caught the flu, you might experience fever, cough, sore throat, aches, chills and nasal congestion, just to name the most common problems. You can use these simple home remedies to help you get relief from mild to moderate symptoms of the flu. Though the following measures will not get rid of virus, they do make it easier for you during the infection. If the symptoms last for weeks or get worse, seek professional help immediately, for there may be other conditions behind these. What you put into your body can help keep it healthy, and that can make the sickness easier to bear. These common foods might be in your pantry or fridge right now. 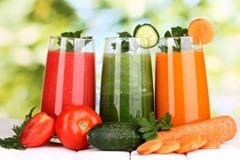 Packed with vitamins, minerals and antioxidants, veggie juice can give you plenty of good things and keep you hydrated at the same time. This wonder food helps boost your immune system, fills you with antioxidants and fights bacteria in the body. 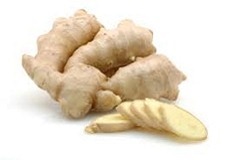 Ginger has a reputation for settling stomachs, which helps if you are nauseas or have diarrhea. It is also known for fighting inflammation, which can make you feel better when you have the flu. Not only is this packed with antioxidants that can help you feel better, the steam and heat of the tea can also soothe your sore throat. Add honey or lemon for an added boost that helps tame the coughing. 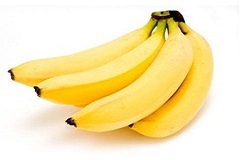 Diarrhea, nausea and vomiting can all be tamed with bananas. Give it a try by slicing up the banana into bite-size pieces and chewing each thoroughly before swallowing. 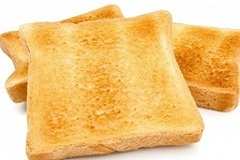 Dry toast gives you something in your stomach, which can help settle it, but it isn’t the kind of food that will upset you further. If you don’t want to try toast, dry crackers will also work. 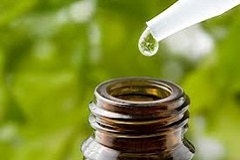 Carbacol, the main ingredient in oregano oil, can keep you from getting the flu. Take two capsules each day. If you already have the flu, six capsules per day can help keep it from getting worse. It sounds nasty, but it helps! Take it in capsules, two to four a day, to help you through the worst of the flu. This lean meat is rich in protein. 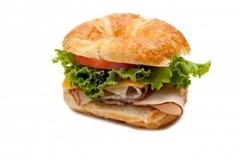 If you opt for whole wheat bread and a good cheese, you are getting some carbohydrates and dairy, too. All of these are excellent for building your strength while you are sick. 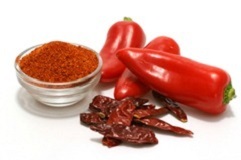 Hot spices can help clear the sinuses and eliminate chest congestion, two big problems when you have the flu. 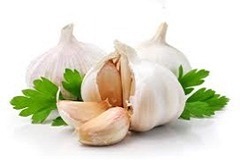 Simply mix garlic, horseradish, cayenne pepper and garlic together into a paste, then mix 1 tsp into a cup of hot water. Strain the mixture, add honey and drink up. Once you have the flu, you want to get rid of it as soon as you possibly can. These remedies can help you get out of bed and back up on your feet in no time. Adults need at least seven hours of sleep per night, but remember to get 2 more hours when you have the flu. Enough sleep can help you get rid of the flu faster for your body repairs itself when you are sleeping. The flu virus is all around you when you’re sick. Make yourself feel better and prevent the spread of it by taking long, warm showers. Use clean towels, and don’t let anyone use them after you do. Staying hydrated is one of the best ways to avoid illness, and to get through it once it starts. If you don’t want to drink water only, try orange juice, sports drinks or green tea. When you gargle with salt water, you can clear your throat of all that nasty mucus that accumulates, especially after you wake up in the morning. As an added bonus, it can also help open up your ears. Chicken soup tastes good, and the heat from the soup can ease your misery. It is also proven to have anti-inflammatory properties, which means it is even better for you than your grandmother said it was. Mega-doses of vitamin C or vitamin E, as well as all the others, can take your immune system to the next level. 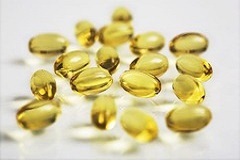 Hit the vitamin supplements hard when you are feeling under the weather. There are numerous medications that you can buy over the counter for flu symptoms, and most of them work very well. At the very least, they can help you get some sleep, which might be sorely lacking with all the coughing. 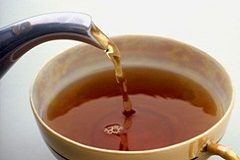 Speaking of steamy showers, that can be a good way to ease throat irritation and help break up congestion. Take showers several times a day and invest in a humidifier for moist air. Open up your stuffy nose by heating a pot of water to boiling, then remove it from the heat. Put a towel over your head, and drape it over the pot, so that you are breathing deeply of the hot air. This “humidity tent” can help immensely. Nasal irrigation means pouring water into one nostril and letting it flow out of the other. This can clear up your sinuses and make you feel better. Try it with a neti-pot or a saline squeeze bottle.